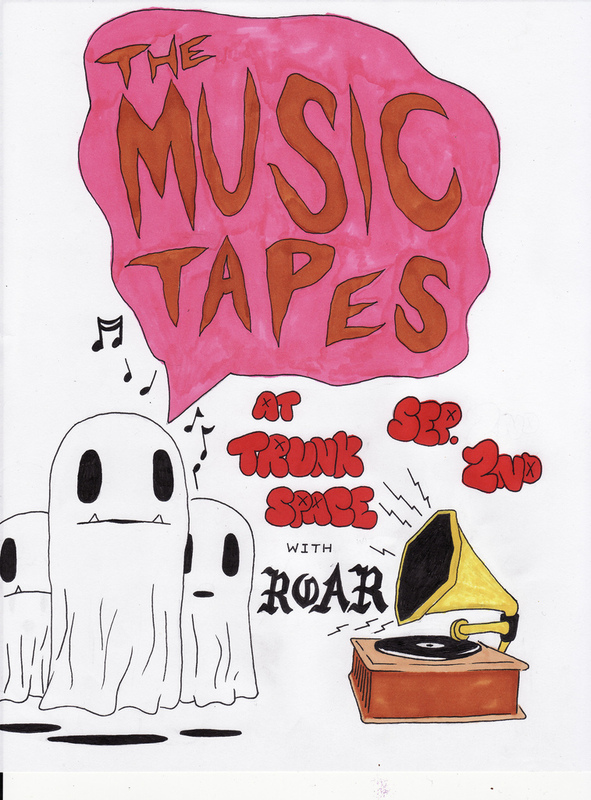 Music Tapes and ROAR at Trunk Space Tonight!!! Yeah, this is pretty last minute, but pretty damn amazing as well. Tomorrow night, Friday, September 2nd Trunk Space has the unbelievable pleasure of presenting Julian Koster’s The Music Tapes with a solo performance by Owen of ROAR. The festivities begin at 9pm and entrance is $7 at the door. So if you had other plans for that time of night this Friday, cancel them and head to Trunk Space for what will inevitably be a pretty weird time. For those who are unaware, Julian Koster is a member of the Elephant 6 collective and he was an integral member of Neutral Milk Hotel, Major Organ and the Adding Machine, as well as Chocolate USA. He’s also contributed heavily to the works of Elf Power, Of Montreal, The Olivia Tremor Control, Black Swan Network and Circulatory System. And if you’ve never heard or seen anyone play a singing saw before, it’s something you won’t soon forget. I first met Julian Koster after catching Neutral Milk Hotel live about a week after In The Aeroplane Over The Sea came out at the Black Cat in Washington, D.C. It was one of the most amazing shows I’d ever seen and I’m thankful to have even caught them before they dissolved and disappeared. He was incredibly gracious and was the first of the band members to sign my vinyl copy of the album. It was an evening I’ll never forget. It wasn’t until many years later, in Tempe when Of Montreal played at Stinkweeds (anyone else remember that and can anyone believe it now?) that I got to meet him once more after he played his saw, sang and added whatever was necessary to each song. Once more he signed a CD for me and was amazingly gracious. The Music Tapes have release four albums since 1999 and the most recent released this year is Purim’s Shadows: The Dark Tours The World, which is available on MP3 from Merge Records. The seven song EP pretty well shows off everything The Music Tapes are about: orchestral banjo, euphoniums, accordians, harmoniums and of course the singing saw. You can stream it for free online to get a taste and the rumor is that this genius record is merely a stopgap before their next amazing full lenght release. Seriously, if you want to do something completely different this Friday that you will be thankful for weeks, months, if not years from now–head to Trunk Space, pay the $7 and enjoy The Music Tapes. You won’t be sorry.